Foucault is speaking, at least in part, to the then contemporary debates between structuralists and phenomenologists, among others, but the crucial insight that the historical moment had come to be dominated by spatial rather than, or in addition to, temporal considerations now appears to be a commonplace. The « spatial turn” in the humanities and social sciences has already occurred, and much of its force derives from the sense, as Foucault recognized, that space and spatial relations are not merely a backdrop or setting for events, an empty container to be filled with actions or movements, or something to be treated as « the dead, the fixed, the undialectical, the immobile”. Rather, space was both a product, as Henri Lefebvre made abundantly clear in The Production of Space, and productive; it produces us, in fact. Foucault’s spatial analysis of power, which I believe underlies his entire multifaceted and diverse body of work, places us in a better position today, after the spatial turn, to recognize the importance of space to our critiques of literature, society, and culture. This is partially the reason why geocriticism, broadly understood so as to include both literary analysis and more wide ranging forms of critical social theory, is so timely in the present moment, as I will discuss below. Moreover, the increased reassertion of spatiality into the methods and practices we use to make sense of the world in which we live has made clear that mapping is now a crucial element of nearly all of our studies. That is, once space and spatial relations can be understood as inherently significant aspects of our being-in-the-world, not just in an abstract sense but also as a visceral sensation felt in our everyday activities, then it becomes clear that a « cartographical imperative” animates our actions and interactions in the Lebenswelt. Whether we are always conscious of it or not, a kind of literary cartography or cognitive mapping, to use Fredric Jameson’s concept, underlies nearly all social and cultural productions at the present moment. Foucault’s spatial analysis of power and knowledge in modern social formations, the larger project and method that I refer to as his cartographics, is an important resource for understanding the ways in which this cartographic imperative both emerges and continues to exert its subtle, but pervasive, force. As has frequently been pointed out, by admirers and detractors alike, Foucault’s historical analysis power and knowledge draws heavily upon a discourse of spatiality, which appears only sometimes metaphorically, as in his use of the phrase, « carcerel archipelago,” in Discipline and Punish, and at others quite literally, as in his careful discussion of panopticism in the same book. Space and spatial relations could be said to form a basis for Foucault’s entire philosophical project. In his earliest « archaeologies” of madness, sickness, and the human sciences more generally, Foucault employed methods that uncovered the layers or strata of sedimented knowledge in order to pinpoint the « birth” of the asylum, the clinic, or the human sciences at large. Foucault identified the spatial significance of the order of things, both in a geographical sense, such as the movement from exile to enclosure as public responses to appearance of contagious diseases in a population, and in a more abstract sense, as with the collection and organization of data into charts or tables, for instance. Later, with his genealogical researches into the disciplinary formations of individuality and the history of sexuality, Foucault maps the mobile circuitry of power relations in a distinctly spatial array, even as his historical narrative enfolds the spaces upon each other. Gilles Deleuze, in his review of Discipline and Punish, famously named Foucault a « new cartographer,” one who maps social forces organized into diagrams, which Deleuze designates is « a map, or several superimposed maps.” In some respects, Foucault entire career takes part in this new cartography, with a theoretical practice that might be labeled cartographics. My title borrows a line from a section of Foucault’s famous lecture « Of Other Spaces,” in which he distinguishes the interior spaces so beautifully analyzed by Gaston Bachelard, among others, from the exterior space [l’espace du dehors] that we live in, that makes up our life, our time, and our history. As Foucault puts it, « this space that gnaws and claws at us” is a heterogeneous space. Foucault’s cartographics, his patient yet thrilling analysis of this heterogeneous space that constitutes us as subjects while also representing the fluid milieus through which social forces move, emerge from his engagement with specific institutions, notably the mental asylum, the clinic, and the prison; however, these specific analyses quickly proceed to a broader social sphere in which the spatial relations of power becomes visible throughout the social body, and affect both the normal and the pathological in innumerable, often unseen, ways. In his so-called archaeological and genealogical works of the 1960s and 1970s, Foucault meticulously investigated and analyzed the ways in which modern social formations have emerged. In the course of several important studies, Foucault explored how the general character of modern societies, as well as the social processes that organize, structure, and condition the minutest aspects of everyday life within those societies, involve a sort of increasingly prominent and highly nuanced spatialization. As Foucault’s work demonstrates, this spatialization appears not only with respect to phenomena traditionally associated with geography or geographic knowledge, but also in such related (or not so visibly related) fields as demography, medicine, urban and regional planning, and education, not to mention the burgeoning social sciences that begin to emerge in the nineteenth century, such as psychology, sociology, ethnography, economics, and so on. From his 1961 History of Madness to his History of Sexuality volumes of the late 1970s and early 1980s, Foucault investigated the processes by which bodies become situated, distributed, classified, regulated, and identified in mobile and protean spatial matrices. The archaeology or genealogy of the modern world, the « history of the present” as he called it in Discipline and Punish, reveals a densely stratified but thoroughly flexible and mutable arrangement of spaces. Although the two thinkers approach the spatiality of modern, or postmodern, societies from entirely different perspectives, Foucault’s work has fascinating resonances with Jameson’s briefly sketched history of spatial formations in Postmodernism, or, the Cultural Logic of Late Capitalism. There Jameson, drawing partly upon Lefebvre’s theorization of the production of space, outlines the manner by which each successive mode of production, and more particular for his purposes, each stage of development within the capitalist mode of production, has « generated a type of space unique to it.” For Jameson’s Marxist analysis, these types of space « are all the result of a discontinuous expansion of quantum leaps in the enlargement of capital.” Like Foucault, Jameson finds that the organization of social space is subject to discontinuous changes or ruptures, which then call for new ways of mapping. Unlike Foucault, however, Jameson’s understanding of these shifting social and spatial forms is rooted in the material processes and functions of capital itself, rather than what Jameson somewhat dismissively refers to as « that shadowy and mythical entity Foucault called ‘power’”. Jameson understands capital itself to be the motive force behind—or, perhaps, via—spatial and political order, and the « well nigh” unrepresentable space in which we find ourselves inalterably situated at any given moment must be grasped in connection to such vital economic relations as labor, wages, monetary policies, financialization, and so on. Foucault’s cartography of power is not absolutely inconsistent with the historical mapping of the production of space in Jameson, but their methods and goals are quite different. Nevertheless, although Foucault’s antagonism toward Marxist theory in general and the figure of Jean-Paul Sartre more particularly draws his analysis away from both Ideologiekritik and the logic of capital, Foucault’s depiction of spatial organization and reorganization through relations of power/knowledge does present points of intersection with the Marxist critique, as can be seen in the important work of Marxist geographers such as Derek Gregory, David Harvey, and Edward Soja, all of whom find inspiration in both Jameson and Foucault, among others. Foucault’s theory of power, albeit abstract at time, hardly presents power as immaterial, and one might argue that capital—the power relations mobilized and maintained by the conditions made possible by a specifically capitalist mode of production—is still a part of Foucault’s « diagram,” as Deleuze termed it in his review of Discipline and Punish. What Deleuze designates as a diagram in Foucault’s Discipline and Punish could be compared with Jameson’s notion of a cognitive mapping. Especially in his famous chapter on panopticism and on Jeremy Bentham’s « Panopticon”, Foucault has discussed the emergence of an increasingly spatialized organization of social forces, and this enhanced spatialization is a critical and defining aspect of the modern (and postmodern) condition. This spatialization of social forces appears not only in a kind of direct geographical boundary-drawing or geographical delimitation, as in the « strict spatial partitioning” used to combat an outbreak of the bubonic plague, but also in the more general ordering of demographic, economic, political, and medical data, as elaborated by Foucault in The Birth of the Clinic. A crucial feature of Foucault’s vision of the characteristically modern society is the scientific distribution and codification of individuals in space. Hence, the surplus significance give to le regard or « the gaze” as a rather technical term in these books, as the gaze, broadly conceived so as to include not only direct observation but also the collecting and ordering of information by which structures of power/knowledge help to create the modern individual, offers a practical model of the spatial distribution. The « eye of power,” as he calls it, operates automatically, and eventually its effectiveness lies not so much in surveillance by others as in that more pervasive and subtle self-regulation that Friedrich Nietzsche has already identified in The Genealogy of Morals. (Foucault’s use of « the gaze” here is perhaps also playful revision of a key concept for phenomenology, as the Sartrean L’Enfer, c’est les autres becomes something more like Milton’s Satan, who carries Hell within himself.) From his early archaeologies of knowledge in the books on the emergence of the asylum and the clinic to his genealogies of power and the emergence of the subject in the books on prisons and sexuality, Foucault demonstrates the profound spatialization of social organization and experience. As early as his History of Madness, first published as Folie et Déraison: Histoire de la folie à l’âge classique in 1961, Foucault had described the emergence of the society administered in terms of the organization and registration of individuals in a spatialized matrix. In this work, Foucault examines techniques for identifying, classifying, and treating madness, culminating with the emergence of the modern mental asylum. The birth of the asylum, from the premodern ostracization or exile of madmen from town limits and the haunting images of a ship of fools to what Foucault calls « the great confinement,” is part of a powerful and nuanced centralization and organization of space. This involved the power to classify individuals and to place them in a certain recognizable group, that is, « the insane” as a special subset of the general population; this also entailed the physical placement of such individuals in a particular location, a hospital or asylum where they would not simply be isolated from others, but studied, treated, and cured. Although Foucault does not argue for a formal or causal link between the two developments, he does observe that the great confinement is contemporaneous with technological and cultural transformations in the capitalist mode of production. For example, the early asylum housed not only the mentally ill, but the poor and the « idle” as well. In fact, in the eighteenth century and before, the distinction was not clear, since idleness was seen as a sign of moral and mental infirmity. Later, the need for a « reserve army of surplus labor” (as Marx would call it) gave social value to the pauper, who now needed to be distinguished from the insane. As the methods for classifying and above all locating disparate individuals become more refined, the organization of social space gains precedence over other areas of everyday life. This is also the point at which Foucault identifies the increasing urbanization of French society, such that, in France, urban planning, police surveillance, and actual mapping begin to take on the form of models for the new national social organization as a whole. Perhaps the most famous chapter of Discipline and Punish, « Panopticism” also makes the case most clearly for a intensely spatial sense of social relations. The chapter opens with a description of ways in which a city stricken with the black plague was to be organized, and it thus recalls the arguments regarding the treatment of madness and physical illness as chronicled in Foucault’s earlier studies. Strict spatial partitioning, constant surveillance, the distribution and localization of individuals, constant monitoring and registration of data, and an intensification and diffusion of the exercise of power typified the social organization of plague stricken town. This enclosed, segmented space, observed at every point, in which the individuals are inserted in a fixed place, in which the slightest movements are supervised, in which all events are recorded, in which an uninterrupted work of writing links the centre and the periphery, in which power is exercised without division, according to a continuous hierarchical figure, in which each individual is constantly located, examined and distributed among the living beings, the sick and the dead—all this constitutes a compact model of disciplinary mechanism. As Foucault concludes this passage, « this is the utopia of the perfectly governed city”. is polyvalent in its applications; it serves to reform prisoner, but also to treat patients, to instruct schoolchildren, to confine the insane, to supervise workers, to put beggars and idlers to work. It is a type of location of bodies in space, of distribution of individuals in relation to one another, of hierarchical organization, of disposition of centres and channels of power, of definition of the instruments and modes of intervention of power, which can be implemented in hospitals, workshops, schools, prisons. Whenever one is dealing with a multiplicity of individuals on whom a task or a particular form of behaviour must be imposed, the panoptic schema may be used. We have seen that the relations between forces, or power relations, or microphysical, strategic, multipunctual and diffuse, that they determined particular features and constituted pure functions. The diagram or abstract machine is the map of relations between forces, a map of density, or intensity, which proceeds by primary non-localizable relations ended every moment passes through every point, « or rather in relation from one point to another.” (1988, 36, translation modified). While Deleuze analysis here may seem somewhat abstract, his reading of Foucault’s cartographic project reinforces the view of a social formation based upon the clear spatiality of relations of power. Deleuze, especially but not exclusively in his collaborative work with Félix Guattari, has supplemented this idea of the diagram with his own nomadology, which derives from his meticulous encounters with the history of philosophy as well as his more politically incisive critiques of the organization of power and desire in Western civilization. Deleuze draws a distinction between nomads, who are understood as such not only because of their border crossings in re-crossings, but because of their conceptual demolition of the boundary lines themselves, and the state and « state philosophy,” which are defined in terms of sedentary ordering, spatial measurement, the segmenting of the rank and file, and a conceptual gridding that attempts to assign stable places. In their occupation of space, their deconstruction of boundaries, and movement across surfaces, Deleuze’s nomads do not opposing mapping; on the contrary, they continually map and remap, altering the spaces as they traverse them. They are in Deleuze’s language, forces of deterritorialization, unsettling to a greater or lesser extent the metric ordering of space under the power of the state. Deleuze had already made the distinction between nomad thought and state philosophy as early as 1968, in Difference and Repetition, in which he distinguishes between a « nomadic distribution” of the various components of Being in Spinoza, opposing it to the Cartesian theory of substances that, like the agricultural or statist model, distributes elements of Being by dividing them into fixed categories, demarcating territories and fencing them off from one another. Deleuze notes that the statist or Cartesian distribution of Being is rooted to the agricultural need to set proprietary boundaries and fix stable domains. Alternatively, there is « a completely other distribution, which must be called nomadic, a nomad nomos, without property, enclosure or measure”, that does not involve « a division of that which is distributed but rather a division among those who distribute themselves in an open space—a space which is unlimited, or at least without precise limits”. Deleuze thus proposes that nomads have a qualitatively different kind of space than that of the state. « It is the difference between a smooth (vectoral, projective, topological) space and a striated (metric) space: in the first case ‘space is occupied without being counted’, and in the second case ‘space is counted in order to be occupied’”. For Deleuze and Guattari the maritime model provides an example of this distinction, for « the sea is a smooth excellence, and yet it was the first to encounter the demands of increasingly strict striation”. Technological and artistic developments in cartographic techniques are partly responsible for such striations. For example, as Jameson discusses in his « digression on cartography”, the Mercator projection, which establishes and imposes upon the figured surface of the world a grid composed of parallels and meridians, is perhaps the most obvious striating strategy. The smooth space of the sea becomes a matrix upon which navigations between points along a Cartesian, x– and y-axis are charted. However, Deleuze’s distinction of smooth and striated space cannot be taken as an anti-mapping position, or that Deleuze is opposed to the cognitive efforts to make sense of one’s place or of the spatial relations constituting our world. Indeed, as Deleuze states, « smooth spaces are not in themselves liberatory. But the struggle is changed or displaced in them, and life reconstitutes its stakes, confronts new obstacles, invents new paces, switches adversaries. Never believe that smooth space will suffice to save us”. Deleuze’s nomadology and particularly his definition of smooth space offer a useful supplement to what is traditionally (and, I believe, erroneously) viewed as Foucault’s apparently total, Orwellian vision of the panoptic society and a carceral archipelago in which all of us are somehow in the same position as the incarcerated prisoner of Bentham’s infernal machine. Actually, Foucault’s vision is no more, or less, totalizing than Deleuze’s. It is true that Foucault does not admit the possibility of situating oneself « outside” of power and power relations, but this is not the same thing as being permanently oppressed, for relations of power are protean and sometimes reversible. As Foucault makes explicitly clear in The History of Sexuality, Volume I, originally published as La Volunté de savoir in 1976, power is productive, capillary, flowing through the social body, and not a property to be won or held. Undoubtedly, such « productive” power produces a lot of rather unpleasant things, but it also produces us, our social relations, our knowledge and our experience. In this sense, to be situated within the mobile flows of forces in a society is also to be in a spatial array, where near and far, high and low, toward the center or on the periphery, and a thousand other things besides, constitute our social being-in-the-world. Power, like space, is not wielded, and it does not proceed in a unilinear direction, from a specific class towards another, for instance. Deleuze’s nomads provide an apposite figure for a kind of resistance to that other image of power, resistance that is not exterior to relations of power, but exerts a force within their elaborate, mobile, and ever shifting web of spatial relations. In my explorations of spatiality in literature and theory, I have examined the spatial turn in literary and cultural studies, and I have looked more specifically at the ways in which literary writers engage in a practice I call literary cartography, in which they figuratively map their world even in those cases where the writers have little interest in strictly mimetic representations of particular places, such as in mythic, utopian, or fantasy literature. I also wish to discuss at the ways in which critics and literary historians engage in what is sometimes thought of as literary geography or what Westphal, I, and others refer to as geocriticism. With respect to critical theory, broadly understood to include both aesthetics and politics, and indeed, working with interdisciplinary methods in order to gain a comprehensive and nuanced perspective on the ever-changing spatial relations that determine our current, postmodern, world in parenthesis into parenthesis, I have used the term cartographics, which (a bit like semiotics or technics) sounds more technical or official than it probably should, to designate a set of critical practices that would engage with the issues of space spatial relations in connection with cultural and social theory, not excluding literary and artistic endeavors. These practices are not immune to the transformative forces that are so radically affected the natural and social sciences in recent years. Cartographics has the advantage of situating mapping and spatial analysis firmly within the framework of those other fields of study, while remaining pliable enough to fit situations that are not properly in the domain of geographic inquiry, at least not traditionally so. For example, cartographics would have to take into account the cultural forms that serve to map the terrain of increasingly spatialized world, including but not limited to the maps themselves. I believe that Jameson’s expansive conception of cognitive mapping, along with Foucault’s understanding of the spatial organization of modern society through the functioning of relations of power, plus Deleuze nomadological theories of smooth and striated space offer excellent points of departure for future work along the lines proposed by my view of literary cartography, geocriticism, and cartographics. It seems to me that a fundamental task, for geocriticism and for cartographics, is to analyze, explore, and theorize these novel cartographies that aid us in making sense of our places and spaces in the world. The projects of geocriticism and cartographics would have to take into account the ways in which spatial practices—including, of course, geographical mapping itself, but also knowledge production, ethnography, economics, and so on—are employed and deployed, both to repressive ends and as means to kind of liberation. The demonstrations associated with the Arab Spring and the Occupy Wall Street movement offer potential examples of those new spaces of liberty that emerge, and quite often evanesce, all over the place at any given moment. A geocritical approach, supplied with the critical and theoretical tools of cartographics, is very well suited to making sense of the world today. I think that Foucault, wrongly considered passé by many in recent years, still allows us to understand the ways in which our current spaces emerged and took shape, while also offering us opportunities for imagining other spaces … heterotopias. Geocriticism, as a way to analyze literary texts, but also as an approach to social criticism as well, can perhaps uncover hidden relations of power in those other spaces that a critical theory less attuned to spatiality would likely overlook. Thus, the older analyses performed by Foucault still offer fruitful terrain for contemporary critique, particularly insofar as we seek to understand the relation between the spaces of power and the other spaces (also of power) in which we find ourselves enmeshed inextricably, but still struggling. 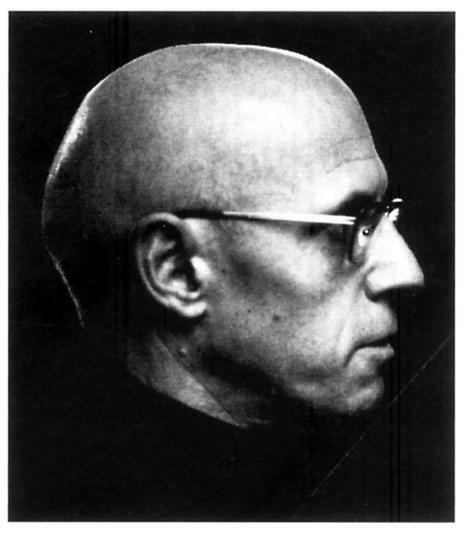 Michel Foucault. « Of Other Spaces,” translated by Jay Miskowiec, Diacritics 16 (Spring 1986), 22. Michel Foucault, « Questions of Geography,” in Colin Gordon, ed., Power/Knowledge: Selected Interviews and Other Writings, 1972–1977, New York: Pantheon, 1980, p. 70. See Henri Lefebvre, The Production of Space, translated by Donald Nicholson-Smith, Oxford: Blackwell, 1991. By geocriticism, I refer to a range of literary critical practices that focus on space and spatial relations vis-à-vis literary texts and contexts. It should be clear that my use of the term would include the « geocritical approach to literature” elaborated by Bertrand Westphal and his researchers at the Université de Limoges, but geocriticism, for me, is not limited to the « geocentered” approach to authors or texts. See Bertrand Westphal, Geocriticism: Real and Fictional Spaces, translated by Robert T. Tally Jr., New York: Palgrave Macmillan, 2011. As the contributions to my recent edited collection demonstrate, there is a broad range of impressive work emerging today under the banner of « geocriticism,” and I expect this will continue in interesting, and unforeseen, ways; see Geocritical Explorations: Space, Place, and Mapping in Literary and Cultural Studies, edited by Robert T. Tally Jr., New York: Palgrave Macmillan, 2011. Some of the arguments I present here were first sketched in my earlier essay on cognitive mapping. See Robert T. Tally Jr., « Jameson’s Project of Cognitive Mapping: A Critical Engagement,” in Rolland Paulston, ed., Social Cartography: Mapping Ways of Seeing Social and Educational Change, New York: Garland, 1996, pp. 399–416. Gilles Deleuze, Foucault, translated by Seán Hand, Minneapolis: University of Minnesota Press, 1988, p. 44. See Gaston Bachelard, The Poetics of Space, translated Maria Jolas, Boston: Beacon Press, 1994. Michel Foucault, Discipline and Punish: The Birth of the Prison, translated by Alan Sheridan, New York: Vintage, 1977, p. 31. Fredric Jameson, Postmodernism, or, the Cultural Logic of Late Capitalism, Durham: Duke University Press, 1991, p. 410. Jean-Paul Sartre is a major influence upon Jameson, whose first book was a study of Sartre’s style, and who continues to draw upon Sartre in his own thinking; see, e.g., Jameson’s Sartre: The Origins of a Style, Princeton: Princeton University Press, 1961, and Marxism and Form: Twentieth-Century Dialectical Theories of Literature, Princeton: Princeton University Press, 1971, especially pp. 206–305. I suspect that part of Jameson’s critique of Foucault is rooted in the antagonism between Sartre and Foucault in the 1960s. See Derek Gregory, Geographical Imaginations, Oxford: Blackwell, 1994; David Harvey, The Condition of Postmodernity, Oxford: Blackwell, 1990; and Edward W. Soja, Postmodern Geographies: The Reassertion of Space in Critical Social Theory, London: Verso, 1989. Foucault, Discipline and Punish, p. 195. See Foucault, History of Madness, translated by Jean Khalfa, London: Routledge, 2006; an earlier, abbreviated version of this work appeared as Madness and Civilization: A History of Insanity in the Age of Reason, translated by Richard Howard, New York: Vintage, 1965. Foucault, Madness and Civilization, pp. 218–219. See Foucault, The Birth of the Clinic: An Archaeology of Medical Perception, translated by A.M. Sheridan Smith, New York: Vintage, 1973. Foucault, Discipline and Punish, p. 198. Ibid., p.36, translation modified; the final phrase is a quotation from Foucault, The History of Sexuality, Volume I: An Introduction, translated by Robert Hurley, New York: Vintage, 1978, p. 93. For a discussion of the way Deleuze’s “nomad thought” emerges from his interventions in the history of Western philosophy, see my “Nomadography: The ‘Early’ Deleuze and the History of Philosophy,” The Journal of Philosophy: A Cross-Disciplinary Inquiry, 5.11 (Winter 2010), pp. 15–24. Deleuze, Difference and Repetition, translated by Paul Patton, New York: Columbia University Press, 1994, p. 36. See also Deleuze, “Nomad Thought,” translated by David Allison, in The New Nietzsche, edited by David Allison, Cambridge: The MIT Press, 1977, pp. 142–149. Gilles Deleuze and Félix Guattari, A Thousand Plateaus, translated by Brian Massumi, Minneapolis: University of Minnesota Press, 1987, pp. 361–362. See, e.g., my forthcoming Spatiality, London: Routledge, 2013. For an account of the complexities of globalization and finance capital in relation to Jameson’s concept of cognitive mapping, see my “Meta-Capital: Culture and Financial Derivatives,” Cultural Logic (2010), available online at http://clogic.eserver.org/. Jameson, The Geopolitical Aesthetic: Space and Cinema in the World System, Bloomington and London: Indiana University Press and the British Film Institute, 1992, p. 2.